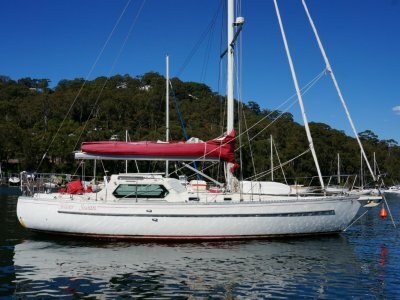 1982 Adams Naut 40 now for sale. Adams Naut 40 with a 2011 Volvo 40hp saildrive showing a very low 700 hours on the meter. 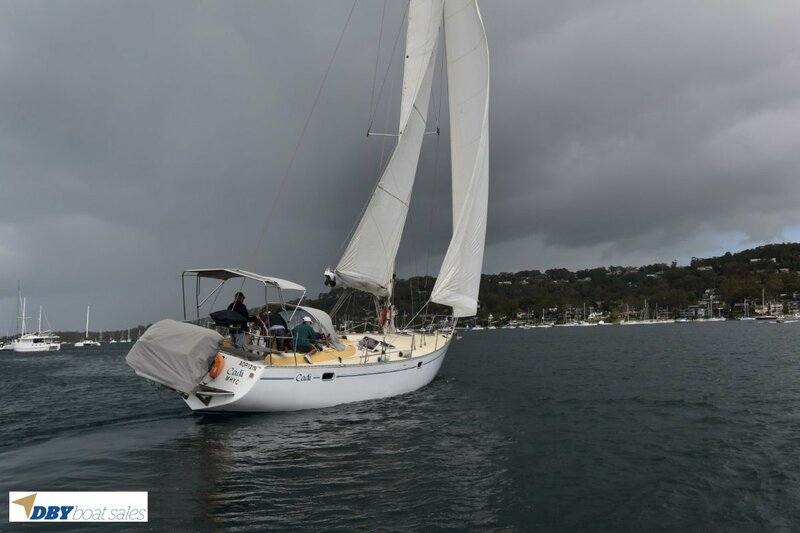 This cruiser racer was built in 1982 and first launched around 2001 when she was fitted out internally. 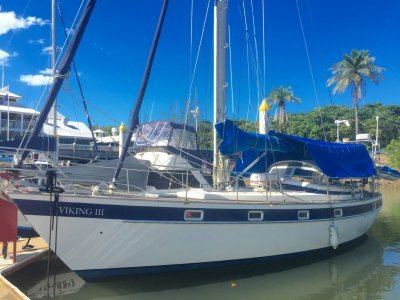 Her current owners are a small syndicate group that keep her in turn key condition on a club berth for easy access and regular use. The triple cabin layout allows a generous double bed in each one. The electric head is enclosed with a pressurised hot and cold shower. The saloon table has ample room for more than 6 places plus a single sofa to starbord. 240v shore power, TV and sound system make her very comfortable down below. 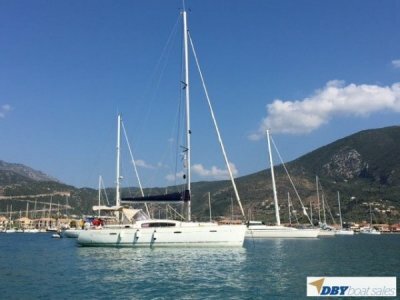 She is a quick boat for safe coastal passages and would suit long term cruising or liveabord. Engine Notes : Volvo 40hp Diesel installed new in 2005. Engine Standard : Volvo 40hp Diesel installed new in 2005. Propeller : 3 blade folding. 2018. Steering System : Stainless Wheel in cockpit, chain and cable to quadrant. Accomodation Notes : Fitted out in 2005.3 Cabins with double bed in each, teak and holly flooring. Galley Notes : U shaped galley with 2 burner stove and oven, stainless steel sink, hot and cold pressurized water. 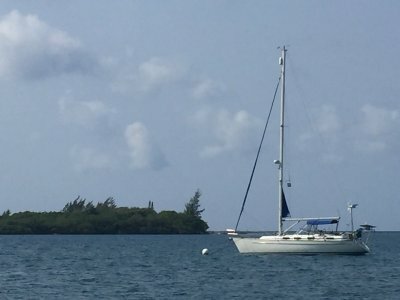 Remarks : Solid boat ready to go cruising. Volvo 40hp Diesel installed new in 2005. U shaped galley with 2 burner stove and oven, stainless steel sink, hot and cold pressurized water.